Bridal Cave and Thunder Mountain Park is getting ready to celebrate their 70th year in business! Over the past 70 years, millions of guests have gone through our beautiful Lake of the Ozarks scenic family attraction. Since 1948, we have had thousands of employees help take our guest on an underground adventure they will never forget. Without these wonderful employees, Bridal Cave would not be the success is it today, and for that, we want to say THANK YOU! To celebrate our 70th anniversary, Bridal Cave and Thunder Mountain Park is hosting a Tour Guide Reunion this April! To Celebrate 70 Years of Bridal Cave, We're Having a Reunion! The day that the Bridal Cave Development Company, Incorporated was founded, April 14, 1948, was the start of something bigger than even they could have imagined. Today, our Lake of the Ozarks scenic family attraction has grown tremendously. Multitudes of guests visit us each year, and over these past 70 years, we've had thousands of employees helping us to welcome them. 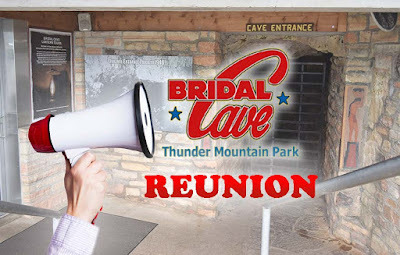 To celebrate this milestone 70th anniversary, Bridal Cave and Thunder Mountain Park is hosting a Tour Guide Reunion this April! Exactly 70 years to the day that it all started, we are throwing a great big, exciting, reunion for not just our present and past tour guides, but anyone that has ever been employed at Bridal Cave. It's going to be a day full of fun and nostalgia, and we hope to see as many of you as possible! 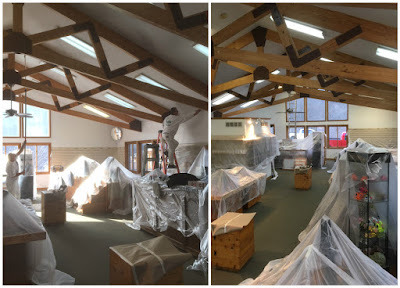 A few months ago we wrote a blog about Bridal Cave & Thunder Mountain Park's big remodel sale that was happening to reduce our inventory so there would be less to move during the Visitor Center's remodel. Well, makeover time is here, and as you read this, our family fun attraction at the Lake of the Ozarks is undergoing a few changes that will make us look better than ever! 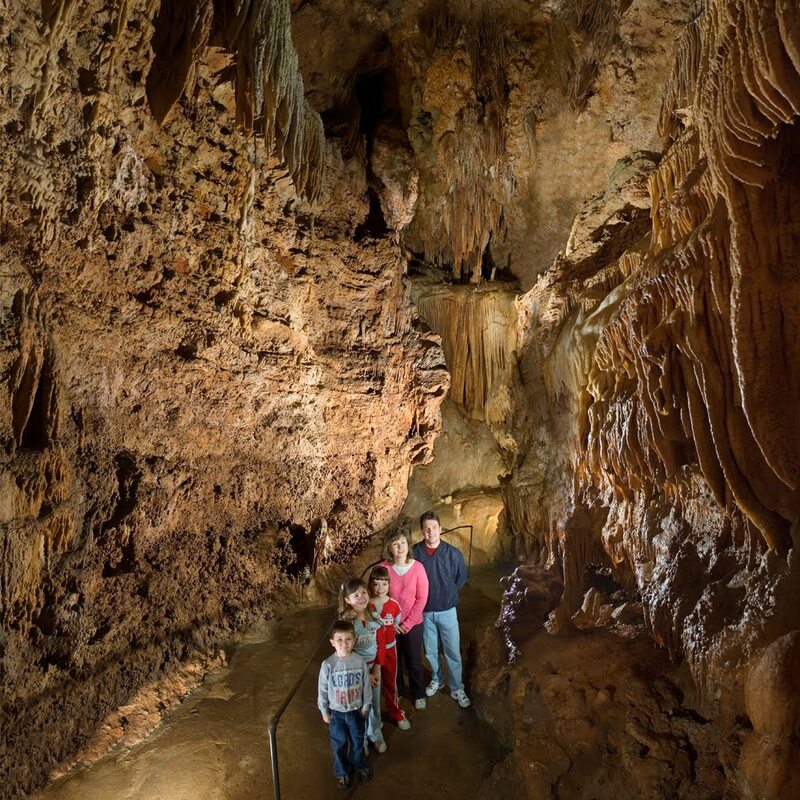 Bridal Cave and Thunder Mountain Park are still open during this remodeling process, but we ask that you please pardon the look of the place while it is going on. As hard as it may be to believe, our Visitor Center is almost 30 years old! With all of the wonderful people that visit our beautiful scenic attraction every year, this building has withstood a lot of wear and tear. It deserves a fresh look. 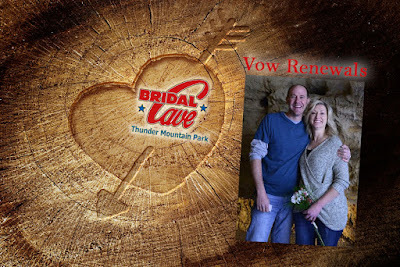 Sunday, February 11, 2018, we are once again hosting the Annual Wedding Vow Renewals at Bridal Cave to celebrate Valentine's Day! Last year we had 222 couples join us at our unique underground wedding venue at the Lake of the Ozarks to say "I do" all over again. This year we hope to see even more! Whether you've been married for 50 years or more, or if you just got married this month, all married couples are welcome to join us for the wedding vow renewals, and it is absolutely free! All you need to do is show up anytime from 9 am-4 pm. This is a wonderful yearly event that we truly enjoy hosting for the incredible people that come to our Lake of the Ozarks scenic attraction.